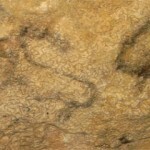 In fact, in the Barranquet of Beniaia there is a deposit of stone tools, with an abundance of ‘chopers’ (useful carved on boulders, made on a side of the song) and ‘chopping-tools’ (more elaborate artifacts that Present a sinuous edge obtained with direct percussion on the two sides), that we would go back to the arrival of the primitive man in the Paleolithic Inferior. Inside it has recently discovered cave paintings consisting of two motifs, a cape and another unidentified motif, which use color to delimit the contour of the figures. 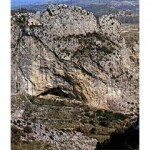 Due to its resemblance to that found in the Cova de Reinós in Vall d`Ebo, a border town, its dating corresponds to Solutrense, a period of the Upper Paleolithic, which began in Valencia about 21,000 years ago. It is pending study and proper archaeological excavation. In the vicinity of the Moorish town of La Roca, the Abrig del Tossal de la Roca preserves an exceptional sequence within the Valencian Prehistory, which has made it possible to reconstruct the paleoenvironmental, economic, technological and social transformation of the last human groups of hunter gatherers and the Development of the first groups of producer societies. The Shelter was almost continuously occupied by primitive man for 6,500 years. The oldest remains are from 14,000 years ago and the most recent ones from 7,500 years ago. It corresponds to the Magdalenian period, the last phase of the Upper Paleolithic and links with the Mesolithic. The excavations have been carried out by an interdisciplinary team led by CARMEN CACHO QUESADA, Department of History of the National Archaeological Museum, and formed by JESÚS JORDÀ PARDO, Department of Agricultural Chemistry, Geology and Geochemistry of the Autonomous University of Madrid, IGNACIO DE LA TORRE SÁINZ, Department of Prehistory of the Universidad Complutense de Madrid and JOSÉ IRAVEDRA SÁINZ DE LOS TERREROS, Laboratory of Paleolithic Studies of the National University of Distance Education. A sample of Levantine Art in the municipality is located in Racó del Condoig, in a coat to the outside. The presence of hunter groups during the Neolithic period (from 7,000 to 4,000 years BC) is shown. It is a figure of a prisoner. 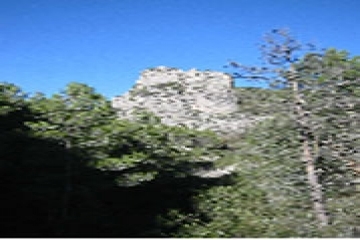 In the Barranco de la Gleda, there is an outer coat, in which remains of a painting of a human figure of schematic type in double Y, with the lower extremities longer and open. Located in the Barranco del Girona, the cave has two entrances. It has found arrowheads, three disk-shaped grains of a necklace, hand-molded pottery, fragments of a polished stone ax, an iron key, human teeth, animal teeth, fragments of a human skull And abundant human and animal bones. It is a cave of multiple burial of the Neolithic or Enolithic era, with 3,000 years of antiquity. On the plateau of the Xarpolar, at an altitude of 904 meters and in the division between the municipal terms of Planes, Vall de Gallinera and Vall d’Alcalà is an important Iberian site inhabited by Iberian contéstanos. The walls of defense and remains of dwelling are conserved. In 1928 he was discovered by F. Ponsell, making several tastings, whose materials are deposited in the Museum of Prehistory of Valencia and the Museum Camilo Visedo de Alcoi. To date no systematic excavation of the site has taken place. In the visits made by staff of the Museum of Alcoi have provided arms, fibula, Iberian ceramics with geometric decoration and figures of style S. Miguel de Liria, Greek ceramics of black varnish and coins of Cástulo. Its occupation ranges from the fifth century to the first century BC. There is no trace of it being inhabited in the Roman times. At the top of the Penya de la Retura, an archaeological site dating from the Bronze Age was discovered, in which ceramic fragments were discovered with a predominance of smooth surface, a fragment of an archer’s bracelet, a piece of a hand mill, and A fragment of polished stone. 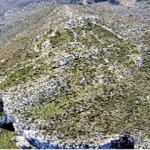 At the top of the rocky spur of Tossal de la Roca, at a height of 691 meters, stands a village of the Bronze Age. In the deposit have been fragments of ceramic, three teeth of flint sickles, polished stone, a smoothing done with diorite, a percusor and remains of idols made in stone.